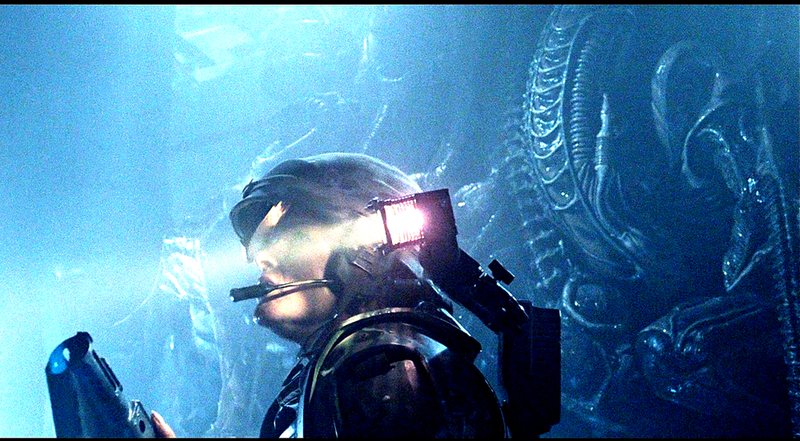 Aliens has been one of my all-time favourite movies for as long as I can remember. The film is relentlessly intense and the scenes involving the motion tracker have been permanently branded into my memory. I'm also a massive fan of H.R. Giger's dark, intricate style, having drawn influence from him since childhood. 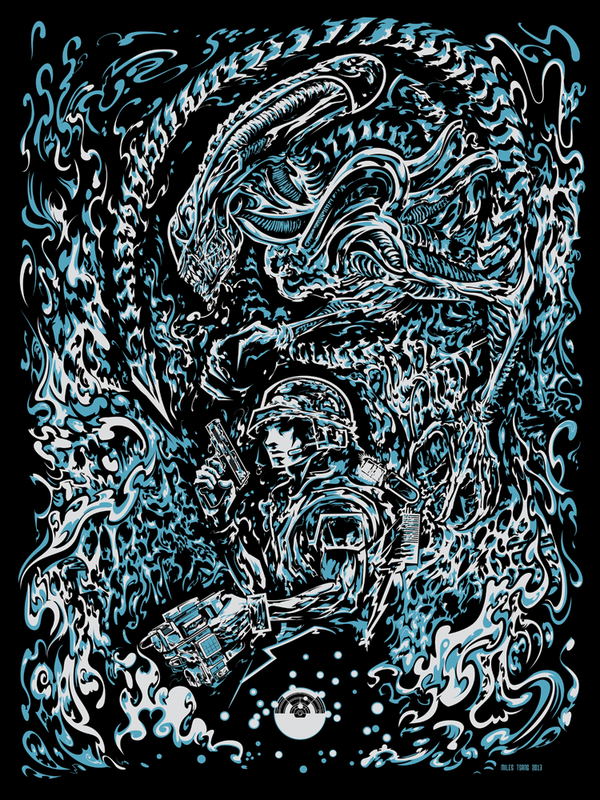 So when I was asked by Joe of Bottleneck Gallery to contribute something to their first group show of 2013 Gizmos and Gadgets, I was all too happy to participate and way too eager to get something Aliens-related out of my system. And although a clerical error kept me from riding the press wave, it was a massive honour to exhibit alongside such an incredible roster of fellow illustrators and printmakers, some of whom I've admired for some time like Godmachine and Mark Lone. For a lengthy look at this art print's process, please keep reading. To me, much of what defines Aliens is its storyline and its expert handling of tension. The scenes right before the aliens begin coming out of the walls were huge wellsprings of inspiration. Hubris, much? 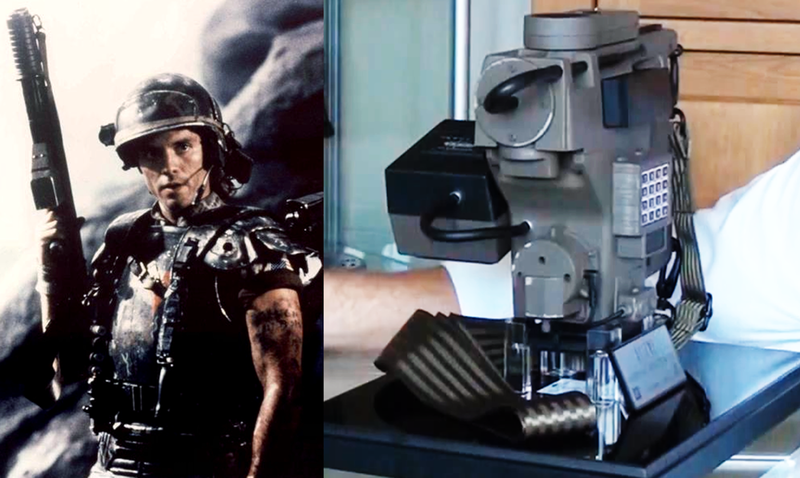 Publicity still from the movie and a screencap of a replica of the gadget from Youtube. The thing has some very strange proportions and design attributes. Gotta love that dated 80's futurism. Clips from Killian Plunkett's Aliens: Labyrinth. Personal nostalgia. One of the first comics I ever bought myself was Aliens: Labyrinth from a garage sale when I was 7 or 8. This visual interpretation of the alien remains my favourite, aside from the Giger original. I love it when childhood gems become field research. Aliens, colonial marines, and motion trackers, oh my! A few of the many thumbnails cobbled together, along with two of the more refined doodle-sketches that made it to the final. Sort of. Some of the more detailed sketches, taken little further in various directions. I decided at this point to true and cram more than one figure into the composition and to set up a visual hierarchy. The general idea for the image became to translate elements from the film into the print medium while aiming for a very specific, thematically-driven atmosphere. Cold, metallic hues against a wet backdrop of darkness which hides and reveals an unfeeling evil that no amount of technology can conquer. Yep. If this thing were an essay, that would probably be its thesis. A modified copy of the previous drawing. Gouache and markers atop an inkjet enlargement. The final semi-comp. Made using graphite, gouache, and Photoshopped collage elements. In-progress shot of the alien digital drawing. I'm personally pretty happy with how the final turned out. Had I more time, I'd have added more flourishes, taken my time a little more with the second blue layer, or perhaps some halftones to differentiate the shapes a little better. Maybe added some more technological-looking tweaks just to balance things out a little more. But that's cool. I still find this image to be as intense as anything I've ever done, but without the hindrance of text (not counting the edition number, or my name and signature on the bottom right). The final rendering. That moment when the walls come alive and try to eat everyone and nobody's toys can save them. Printing this was not easy. I was becoming sick at the time, so I was unable to print with lightning-quick efficiency and I encountered screen clogging like never before. That's also the reason I hadn't the energy or organizational sense to document my coating and burning of the screens, or the laying down of the first layer. In spite of that all, I'm happy to report that my first all-metallic print a success. I enjoy that with this print, you have to see it in-person, not through a computer screen, to get the full effect. A close-up of the burnt screen. I used a 255 mesh for the second layer. I believe I tried out my new 280 for the first. Flooding the screen in order to register with clear mylar. Metallic ink! Tweaking, re-positioning, registering. Lining up the first layer with . Placing the bristol board braces. Untrimmed print. The ink distribution got a bit spotty on the sides of some, but the image still shimmers menacingly. Detail of the xenomorph head. Gotta love those sloppy gnashers. Detail of the colonial marine's head and weapon. Motion tracker detail, with smoke and readings ("Front and behind!"). Detail of the alien's skeletal upper body emerging from slime of the the hived wall. The spoils. 75 total, printed using black paper, metallic inks, and nerd love. If you like what you see, you can grab one through The Shop.